"The Uyghurs of Xinjiang have received a great deal of media attention ever since the first reports about the so called “re-education camps” emerged in 2017. Since then direct contact to Uyghurs in the region has become difficult and risky. This is due to measures called by the Chinese authorities counter-extremification but interpreted by human rights groups in terms of grave violations of the rights and dignity of Xinjiang's ethnic minorities. 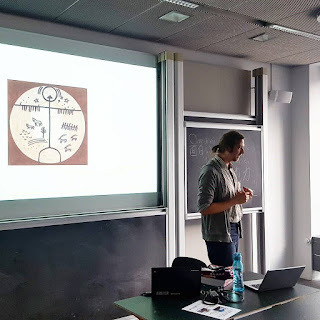 This talk provides the necessary historical, political and economic background for making sense of what is happening today in Xinjiang. It will also attempt to discern facts from rumor and shed light on why reliable information on current developments in the region is so scarce." 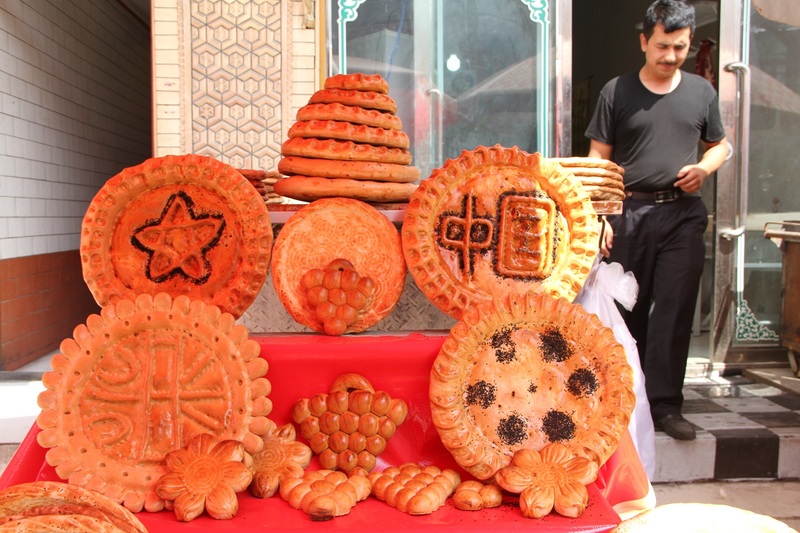 Uyghur baker's stall, displaying new patriotic designs on traditional Uyghur bread (nan), 2016.